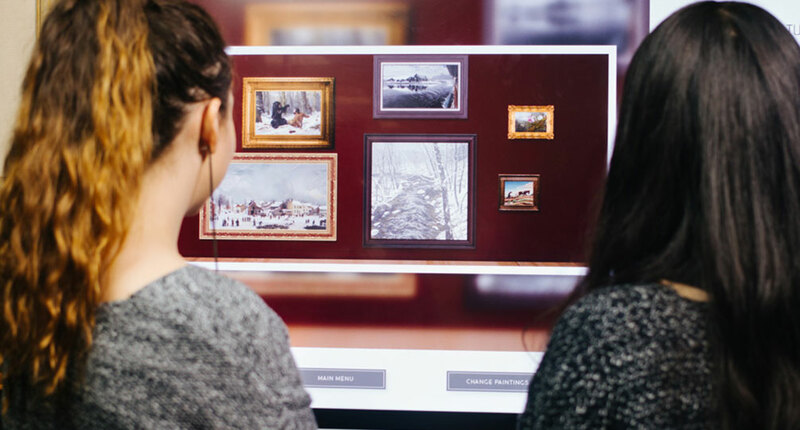 Ideum recently collaborated with the Crystal Bridges Museum of American Art on an application that allows visitors to create their own galleries. 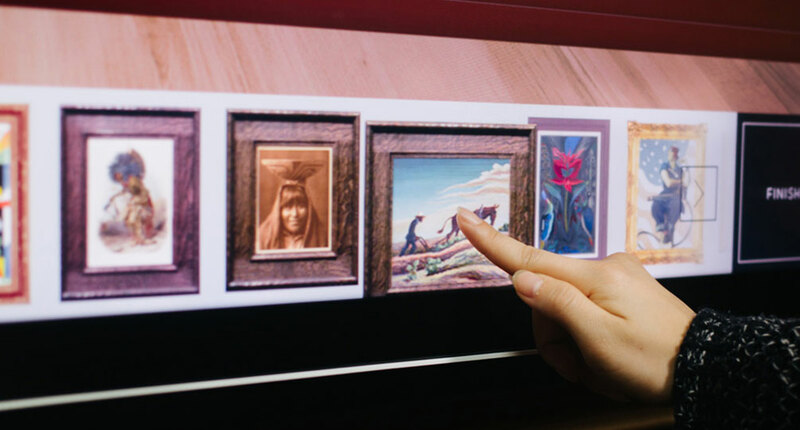 The application is inspired by Samuel F. B. Morse’s painting Gallery of the Louvre, which is on display at Crystal Bridges through April 18, 2016. Morse’s painting was intended to share several great European works of art with Americans. His painting reflects the salon-style hang that was common in that era. 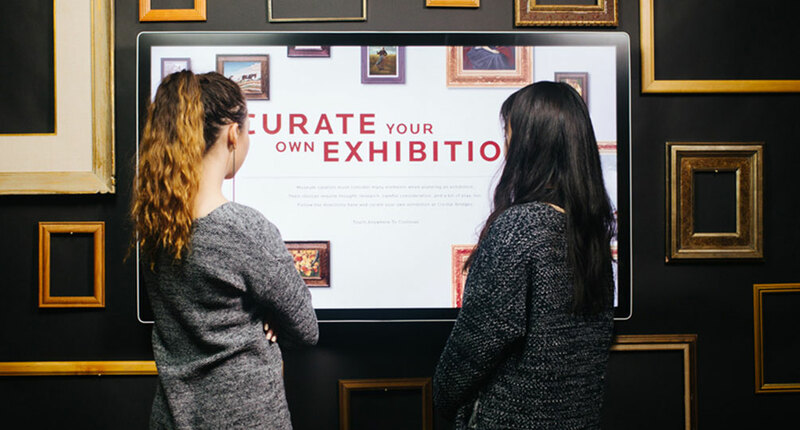 In the Curate Your Own Exhibition interactive, visitors are challenged to choose a theme, wall color, and works of art from Crystal Bridges’ collection, to create their virtual gallery. Visitors can then share their galleries on Tumblr or via email. 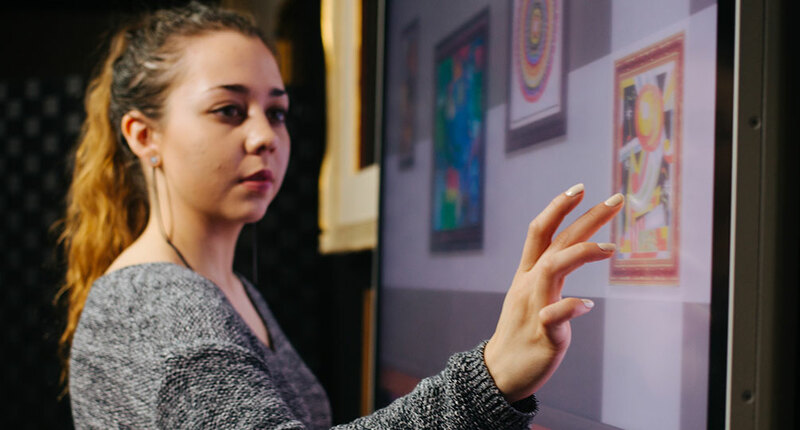 The application is designed to be flexible; the available artworks may change over time allowing returning visitors to have a different experience and create brand new galleries. 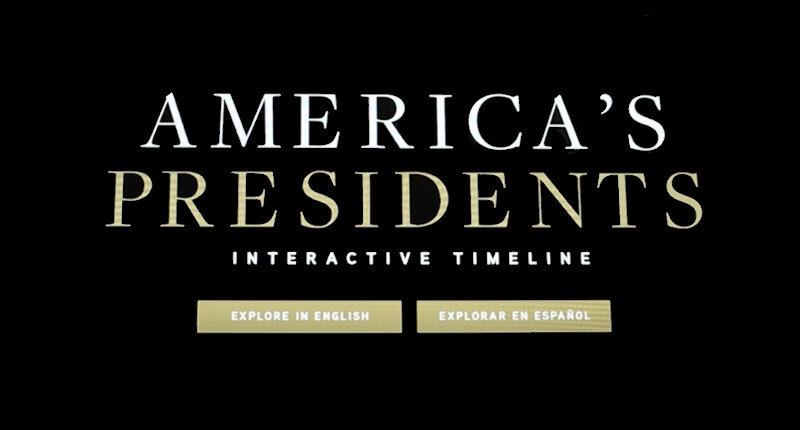 Ideum designed the user interaction and graphic style for the exhibit, and developed the interactive software. The application runs on a custom Ideum Drafting Table 55. 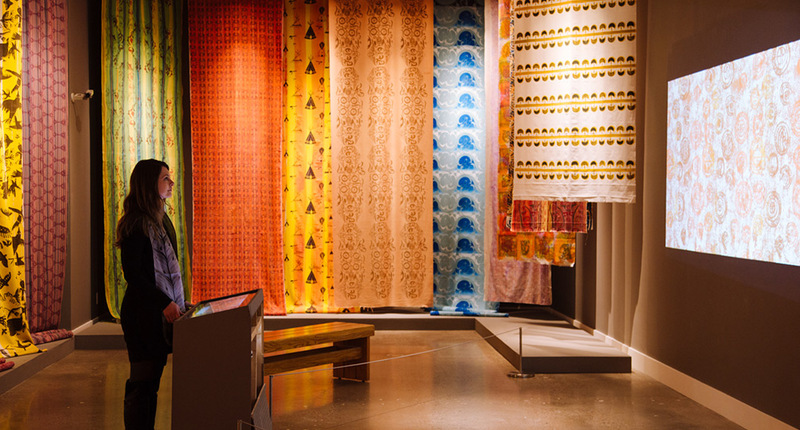 This exhibit is one of several on which Ideum and Crystal Bridges have collaborated; in 2015 alone we worked together on Landscapes Carry Meaning, the Frank Lloyd Wright Domestic Architecture Timeline, and the Warhol / Wyeth Interactive Photo Kiosk. Galleries can be designed and shared. Visitors select artworks from the museum's collection.